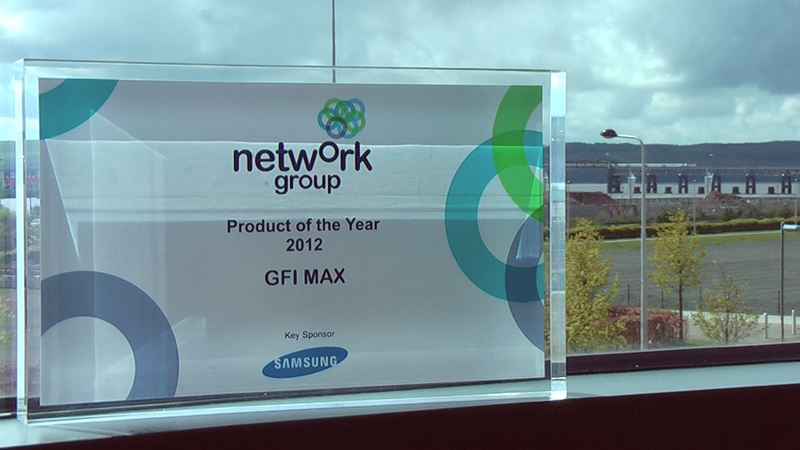 GFI MAX Product Line Voted "Product of the Year"
We’re pleased to announce that the GFI MAX product line was voted “Product of the Year” at the 2012 Network Group Gala and Awards. The award was accepted on behalf of GFI by Keri Fullwood. “We’re very grateful to the Group for this award and we look forward to continuing to work closely with the Network Group in the years ahead to add further value to their MSP offerings through GFI MAX.” said, Jim Harrower, UK & Ireland Sales Manager for GFI MAX. See what David Hay, Partner Development Manager for the GFI MAX product line, has to say about the award in this short video. Congratulations! I’ve never heard of this award before, but what other kinds of products are eligible for consideration? Did GFI MAX win in any other categories?